When you buy it, your gold jewelry looks extraordinary. It is very bright, and it shimmers in the light. However, due to many external factors, it might start changing. Without proper care, it will become scratched, dull, and sometimes even discolored. There is no need to panic, though. Maybe you weren’t aware that gold jewelry requires certain maintenance. The good news is that even if your gold loses its spark, it isn’t too late to bring it back. There are a few simple steps to follow in order to keep your gold jewelry polished and shiny. If you like to wear your jewelry every day, that is totally fine. But, you should know that regular usage results in a dull finish and a layer of dirt. There is nothing unusual about this. Makeup, dust, and sweat are the main factors which affect your jewelry. A little soap and water will take care of this problem. Just make sure that you don’t scrub too hard, as this could damage your gold. Also, try to dry your pieces as much as possible. This simple procedure will keep your jewelry shiny and smooth. Scratching and denting your gold jewelry might be easier than you thought. Being a soft metal by nature, gold is sensitive. Rings and bracelets are especially vulnerable because you wear them on your hands. In order to prevent any damage, take off your jewelry when playing sports, cleaning, or doing any demanding activities. Gold is vulnerable to various chemicals; especially chlorine. If you frequently expose your gold jewelry to chlorine, it will become weaker and will eventually break. Remember to take it off when going into a pool or hot tub. If you noticed numerous scratches, your items might have rubbed against each other. To avoid this, store your pieces separately. Also, it is a good idea to wrap each piece into a soft storing cloth. Another solution is to purchase a jewelry box with multiple compartments. Even if you take great care of your gold, usual wear and tear can lead to frailty. Every now and then, you should inspect your jewelry, paying close attention to prongs, pins, and clasps. These small pieces are the most fragile ones, and they might bend or break first. However, many people don’t actually know what to look for. Luckily, The Gold ATM provides free jewelry evaluation and consultation for all its customers. If you’d like your gold examined, our staff can do it for you. In addition, we will show you the finer details of your gold on our digital microscope. Why Should I Come To The Gold ATM? The Gold ATM is the highest rated gold and diamond buyer in all of Atlanta, with more than 250 five-star reviews on Google. They offer free jewelry consultations to all their customers, and have the technical means to get up close and personal with any jewelry item you place before them. 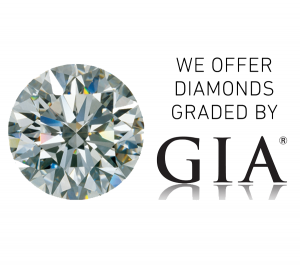 They have a friendly and knowledgeable staff who seek to educate their customers on the true value of their jewelry, making them more than just your run-of-the mill gold buyer. So what are you waiting for? Click here to contact them today.